The launch in Japan is still November 11th, while the North American launch date remains at November 17th. The amount of consoles shipped by years end, however, has been cut in half. The original estimate by Sony was that they would have 4 million consoles shipped worldwide by the end of this year, but are now estimating that there will only be around 2 millions shipped by Christmas. Even though they are dropping the launch of a whole region, this still means even greater shortages in North America and Japan than originally expected. Sony got a swift reaction from disappointed gamers around the world. An uproar from GameSpot saw hundreds of gamers proclaiming their loss of faith in the PS3. Indeed, I believe the sales of the PLAYSTATION 3 will be hurt. By how much will remain to be seen, but Sony is far from losing their fair share of the $30 billion video game market with the popular PLAYSTATION brand. If you enjoyed this article, you may also like Final Verdict: Dead Rising, or Why Mario is Video Game's Most Beloved Character. Recent articles by fellow bloggers are Wacky Ways to Lose Weight, Gummi Bear Lights - HotSpotMama Find, or A Windmill in every backyard—the future is now! I think they are having serious problems not just with delays but the wole management of the company. 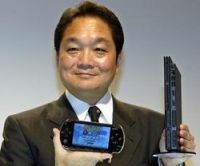 heard about the restarting the PS3 during the TGS? ?